EASO offers different kinds of specific operational support to Member States. For further information regarding the content of the signed support agreements by EASO and the Member States, please see the page Archive of operations. Special support refers to tailor‑made assistance in order to improve the implementation of the CEAS: capacity building, facilitation and coordination of relocation, specific support and special quality control tools. Emergency support refers to organising solidarity for Member States subject to particular pressures by providing temporary support and assistance to repair or rebuild asylum and reception systems. Member States who are in need of external help in the management of their specific case-load can request from EASO the deployment of Joint Processing Support Teams. The joint processing activities are launched by EASO and the respective hosting Member State, after the Terms of reference, including the main criteria of deployment of the joint processing teams, have been agreed upon. Furthermore, EASO Work Programme 2016, REV2, chapter II.1 Operational Support, establishes the following: ‘EASO will provide emergency support to EU+ countries subject to particular pressure by deploying EU+ countries’ experts in the form of Asylum Support Teams (ASTs) or by providing other support as required, including through Joint Processing Support Teams as per the European Agenda on Migration and the “Hotspot” approach taken therein. EASO will cooperate with relevant bodies in the provision of such support, devoting special attention to operational cooperation with Frontex and other stakeholders’. EASO and Cyprus signed on 5 June 2014 a Special Support Plan, which provides for EASO support to Cyprus, until July 2015, in a number of areas, such as training of staff, vulnerable groups, advice on age assessment procedures, enhancing the reception conditions, as well as on data collection and analytical capacity (i.e. statistics and information technology). Cyprus requested support following the additional pressure on its asylum system, mainly due to their geographical proximity to an area that produces a particularly high percentage of asylum applicants. Given the need for an extension of the duration of the Plan and adjusted needs in the scope of the support measures, EASO and Cyprus agreed to extend their cooperation by first amendment (July 2015 - February 2016), second amendment (April 2016 - February 2017) and third amendment (February 2017- January 2018). On 20 September 2017, EASO opened, together with the Cypriot authorities, an operational office in Nicosia, which is situated at the premises of the Cyprus’ Asylum Service. The office hosts EASO’s experts, which provide operational support to the Cypriot authorities. In December 2017 EASO and the Government of Cyprus signed a new agreement that saw the Agency’s Special Support Plan (SSP) extended until 31 January 2019, with additional amendments to its tasks. The agreement built on the expansion in support activities that EASO has been delivering throughout 2017 to improve and enhance the country’s asylum and reception system. In addition to extending the applicability, the new SSP also amended the previous version with new specific deliverables that EASO provided in its operations supporting backlog management and in the field of reception and open accommodation. In December 2018, EASO and Cyprus signed an Operational and Technical Assistance Plan, valid until 31 December 2019. In response to the increased pressures on the Cypriot authorities, in 2019 EASO is expanding the technical and operational assistance it has been providing to the country since 2014. Specifically, the Agency will support the Cypriot Authorities with the registration of applications for international protection and with improving reception conditions, not only in the accommodation centre in Kofinou but also in the newly established first reception centre in Kokkinotrimithia. EASO will also initially maintain, and in the course of the year significantly increase, its capacity to stabilise and reduce the backlog of pending cases. Under the new Operating Plan EASO will also support the Cypriot authorities in the area of data management and coordination. 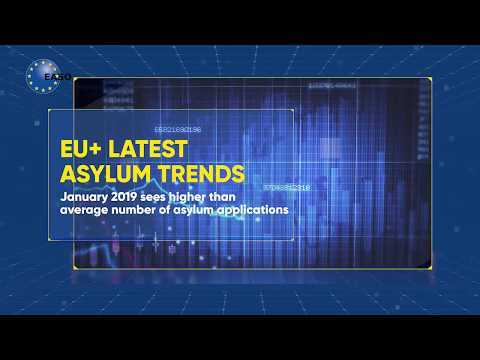 An increase in immigrant arrivals, the implementation of a new EU asylum package, and the need to maintain a high standard in asylum and reception processes motivated Italy to ask EASO for assistance. In June 2013, EASO and Italy signed the first Special Support Plan to operate until the end of 2014. This plan covered a number of prioritised areas, such as data collection and analysis, Country of Origin Information (COI), Dublin system, reception system, emergency capacity and training of independent judiciary, as well as further professional development of the National Asylum Commission. In March 2015, the Special Support Plan - Phase 2, an extension, was signed to continue focusing on these activities, whereas in December 2015 - after the launch of the relocation programme as part of the “hotspot” approach - EASO and Italy signed also the EASO Hotspot-Relocation Operating Plan to Italy. This document laid down the conditions and objectives of EASO’s specific technical and operational support to Italy. In particular, EASO provided support by joint-processing asylum cases through Asylum Support Teams (ASTs), composed of national experts. Activities included support in information provision, registration of applications for international protection in view of relocation and handling Dublin 'take charge' requests. In the course of the last two years, EASO extended its activities in Italy on the basis of an Operating Plan for 2017 with its first amendment and an Operating Plan for 2018, which mandated the office to support the Italian authorities on provision of relevant information to potential applicants for international protection; handling registration of applicants for international protection; handling Dublin 'take charge' and 'take back' requests through a dedicated support to the Dublin Unit in Rome; strengthening the reception capacity, in particular with regards to unaccompanied minors; professional development activities and study visits for the Department of Civil Liberties and Immigration (MOI), activities in the field of COI; and strengthening the Ombudsperson for Children and Adolescents in implementing protection measures for unaccompanied children. In this framework, the Agency will provide support to the Italian authorities in the following areas: designing an information provision system and developing SOPs, referral pathways and monitoring system for Dublin cases; lodging of applications for international protection; processing of first instance decisions and follow-up with regards to appeals at Territorial Commissions; processing of the Dublin procedures at the Dublin Unit; strengthening the Italian COI Unit in standardising high quality COI used in the asylum decision process; implementing a system to monitor and manage the reception system; supporting the Italian Ombudsperson for Children and Adolescents with capacity building activities for volunteer guardians; organising training activities aimed at boosting the technical capacity of immigration police in registering asylum requests. Following a request made by the Greek government, in February 2011, EASO agreed to support Greece with its establishment of the new Asylum Service, First Reception Service, Appeal Authority, and reception system in general as well as with the reduction of the backlog via the deployment of experts from the different EU Member States via the so called ASTs. The first phase of EASO support to Greece ended in March 2013. Following a request made by the Greek Government in early 2013 for further support, EASO continued to support Greece until December 2014. 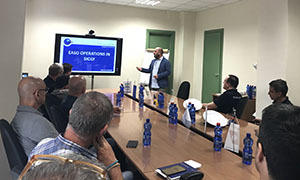 In this second phase EASO supported Greece via the deployment of ASTs, which provided training on nationality establishment (in close cooperation with Frontex) and support on EU funding, support on the collection and analysis of statistical data and support in the field of COI. On 13 May 2015, following a request by Greece to further improve and enhance the Greek asylum and reception system, the EASO Executive Director decided to render Special Support to Greece by providing expertise from EASO and the EU Member States up to the end of May 2016, extended by its Amendment until 31 Dec 2016. The request for further support by EASO was inspired by the will to ensure sustainability of the good results achieved within the context of previous EASO support to Greece (under the Operating Plan to Greece Phase 1 and 2), so that the current and future challenges can be adequately addressed. It was concluded that there is a need for supporting the training of staff, setting up an effective guardianship system for unaccompanied minors, in particular within the asylum procedure, enhancing the quality of the asylum and reception procedures, as well as better managing of EU funding which complements the national budget. In September 2015, immediately after the launch of the relocation programme - as part of the “hotspot” approach - EASO and Greece signed also the EASO Hotspot Operating Plan to Greece. This document laid down the conditions and objectives of EASO’s specific technical and operational support to Greece. EASO support was further increased by Amendment no 1 (December 2015) and Amendment no 2 (April 2016). In particular, EASO provided support with the provision of relevant information to potential relocation candidates and the registration process at the Asylum Service, handling outgoing Dublin take charge requests, including relocation, detection of possible document fraud and implementation of the admissibility procedure. In December 2016, EASO continued to support Greece and its capacity building process in the framework of a Special Operating Plan to Greece, which describes the various measures to support the Greek authorities in the field of international protection and reception. In December 2017, EASO and the Government of Greece signed a new Operating Plan outlining the technical and operational support measures that the Agency carried out in the country in 2018. The Operating Plan built on the operational support provided by EASO to Greece and aimed to respond to the pressure on its asylum and reception systems as well as to sustain the full implementation of the EU asylum acquis. EASO’s support for Greece will also continue in the course of 2019 based on a new Operating Plan. The new plan builds on EASO’s existing operational support to Greece, which has been expanded over the past few years. EASO will continue to perform a wide range of operational activities including support in processing of applications under the border and the regular asylum procedure, information provision, handling outgoing Dublin 'take charge' requests, supporting the enhancement of the Greek Asylum and Reception system and training Greek personnel. EASO and Bulgaria signed on 17 October 2013 an Operating Plan which provided for EASO support to Bulgaria, until September 2014, in a number of areas, such as: identification and pre-registration of mixed migration flows; registration of asylum seekers and referral of unaccompanied minors and vulnerable persons to the appropriate asylum procedure; supporting the asylum decision process; providing Country of Origin Information; delivering core training in EASO Curriculum Modules for newly hired staff and; offering expertise on the absorption of emergency financial support to Bulgaria under EU Funds (SOLID Programme). Following a request made by the Bulgarian government in October 2014 for further support, EASO continued to support Bulgaria until June 2016. As outlined in the Special Support Plan, EASO currently focused on institutional capacity building, quality assurance mechanisms and responding to the special needs of vulnerable groups. See the Press Release (OP), the Stock-taking report and the Press Release (SSP). On 27 October 2017, EASO and the Bulgarian State Agency for Refugees agreed on Amendment no. 3, which provides for an adjustment of needs in the scope of the support measures and the extension of the duration of the Plan until 31 October 2018. On 10 January 2012 EASO received a request for support from the Minister of Labour, Employment and Immigration of Luxembourg, Nicolas Schmit. Following this request, on 11 January 2012, the Executive Director of EASO pledged Asylum Support Teams to Luxembourg. On 26 January 2012 the operating plan on the Deployment of Asylum Support Teams to Luxembourg was signed. EASO Asylum Support Teams were deployed in Luxembourg from 30 January to 8 February 2012. EASO and the Swedish Migration Board (SMB) signed a Special Support Plan on 21 December 2012. The Special Support Plan was a result of indications in the EASO Early Warning and Preparedness. Support was rendered from December 2012 to February 2013. Support measures included training sessions by EASO experts.